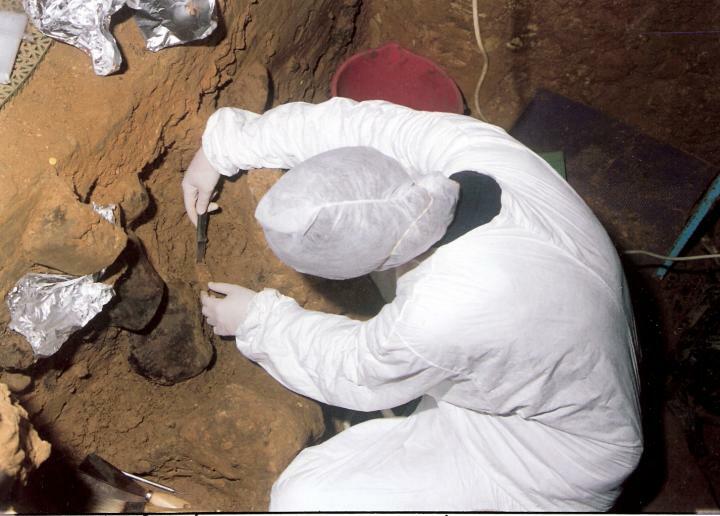 In 1829, three decades before the publication of The Origin of Species by Charles Darwin, the first Neanderthals fossils were discovered in Belgium—thus they were not suspected of belonging to another extinct human species. It was only when scientists like Thomas Henry Huxley began to apply Darwinian theory to humans that our evolutionary link with other primates began to be drawn. However, more than a hundred years of science have revealed that the story is extremely more complex than the simple and primitive idea of ​​a “missing link.” Today we know that our family tree is rather a weave of innumerable ancestral species that intersect, a panorama so complex that it has led the renowned paleoanthropologist Meave Leakey to say that we still have another hundred years of research to do before coming to understand the history of our evolution. In the last decades, another scientific discipline has come to the aid of palaeoanthropology, prompting an authentic reinvention of the study of human evolution. In 2010, the existence of an old branch of our family was discovered thanks to an approach that reaches where the anatomical study does not. In this case it was also based on a fragment of bone, but instead of preserving it intact as a valuable relic, the researchers pulverized the fragment to scrutinize its most intimate structure, that of its DNA. The discovery of the Denisovans, the possible human species or subspecies identified through their DNA that lived in Asia until about 40,000 years ago, was in fact the culmination of a long scientific path travelled for decades. The emergence of molecular research in human evolution began to gain strength in the 1960s thanks to the analysis of proteins. In the 1980s, when many of today’s molecular biology techniques had not yet been invented, scientists such as the Swede Svante Pääbo undertook the laborious task of sequencing DNA thousands of years old. Initially the researchers focused on mitochondrial DNA, smaller than nuclear DNA and present in multiple copies in each cell, making it easier to read. But now, in the 21st century, technological progress has led to an explosion of ancient DNA sequencing that has allowed the analysis of nuclear DNA samples up to hundreds of thousands of years old. To date, the record for the oldest human DNA has been held since 2016 by the fragment of the nuclear genome of an ancestor of the Neanderthals who lived 430,000 years ago in Sima de los Huesos de Atapuerca (Spain). We now know the genomes of Neanderthals and Denisovans, which have detailed a complex process of hybridization between the different species that would have been impossible to unravel by the methods of classical palaeoanthropology. Palaeogenetics, or the analysis of ancient DNA from fossil bones, has revolutionized palaeoanthropology, but today it is going even further by dispensing with even the need for skeletal remains. In 2003, the geneticist at the University of Copenhagen (Denmark) Eske Willerslev began to recover so-called environmental DNA directly from frozen soils and cave sediments. In April 2017, a team led by the Max Planck Institute for Evolutionary Anthropology (Germany) obtained for the first time mitochondrial DNA from Neanderthals and Denisovans from the soil of several caves, up to 130,000 years old. 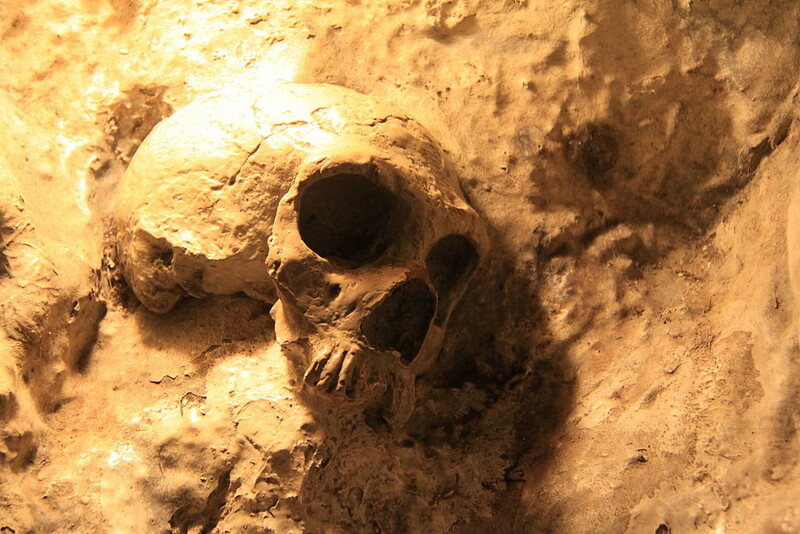 Antonio Rosas, from the Spanish National Museum of Natural Sciences of the Higher Council for Scientific Research, and a co-author of the cave sediment study, explained to OpenMInd that the work was an exploration of the possibility of recovering DNA without bones in places that have been “lived in, eaten in and defecated in.” A placenta of a birth or a haemorrhage, adds Rosas, could be other sources of this DNA, which was conserved in the clay soils. In other cases, researchers are able to approach the knowledge of human history without recourse to the vestiges of the past, but through their imprint on our own DNA. Projects like Genographic, of the National Geographic Society, are mapping ancient human migrations thanks to the similarities and differences between the genomes of the populations present today. These studies have also allowed us to identify the traces of hybridization with Neanderthals in modern humans of European or Asian origin, or with Denisovans in current groups such as the Melanesians. The co-director of the study, Omer Gokcumen, tells OpenMind that it is not the first time that a “gene flow from unidentified human-related species” has been found in current populations. “I think it is now clear that such gene flow events between hominin species, including humans, were common,” he says. The researcher is not yet willing to bet on the identity of his ghost species, but suggests that the key will be found in the future study of ancient African DNA. The problem, says Gokcumen, is that climatic conditions in Africa do not facilitate the conservation of viable DNA. “The data from ancient genomes from the colder Eurasia (colder and as such the specimens are better preserved) has really changed the field,” says the geneticist. “It has been pretty difficult for African specimens,” he adds.